Did You Hear? 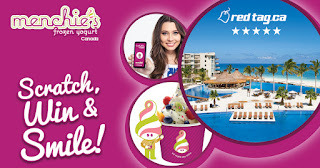 Menchie's Canada is Having a Contest! When Danna and Adam Caldwell opened their first Menchie’s store in LA, little did they know the frozen yoghurt establishment would become a worldwide name! With a rotating 128 flavours – in April a new one, Skor, will soon be available – customers are able to mix and match the yoghurt bases with more than 50 toppings to create their own custom blend. Moreover, their gluten-free, vegan and Kosher options ensures most dietary restrictions can be accommodated. Toppings range from fresh fruit (berries, a tropical selection and melons) to candies (chocolate and gummi bears) and other interesting choices (sprinkles, cookies and cheesecake). My favourite are the mini peanut butter cups and popping boba, although not generally part of the same cup. Not to rest on their laurels, Menchies continues to develop new products including custom made cakes and real fruit smoothies … so you won’t feel guilty about stopping into a store before noon. 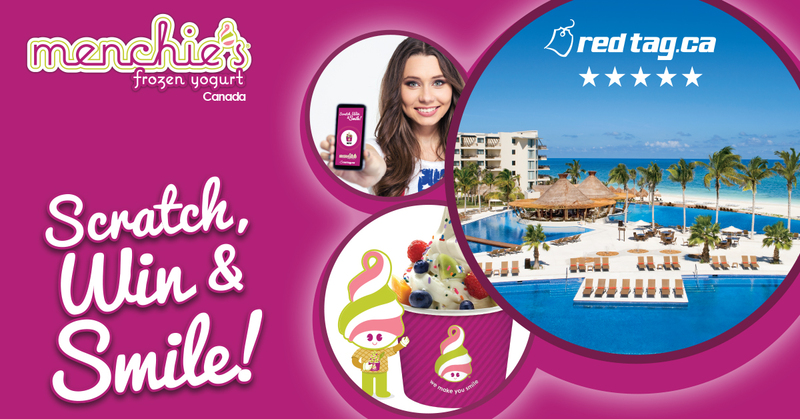 This spring Menchies is encouraging Canadians to SMILE! After all, the sun and warm weather will soon be gracing us and enjoying the outdoors is but weeks away. A contest is launching March 28, 2016, where participants digitally scratch and win various instant prizes. Afterwards, you’ll receive a pin number to enter towards the grand prize: a 7-night round trip for two to the 5-star Dreams Riviera Cancun Resort & Spa in the Mayan Riviera! 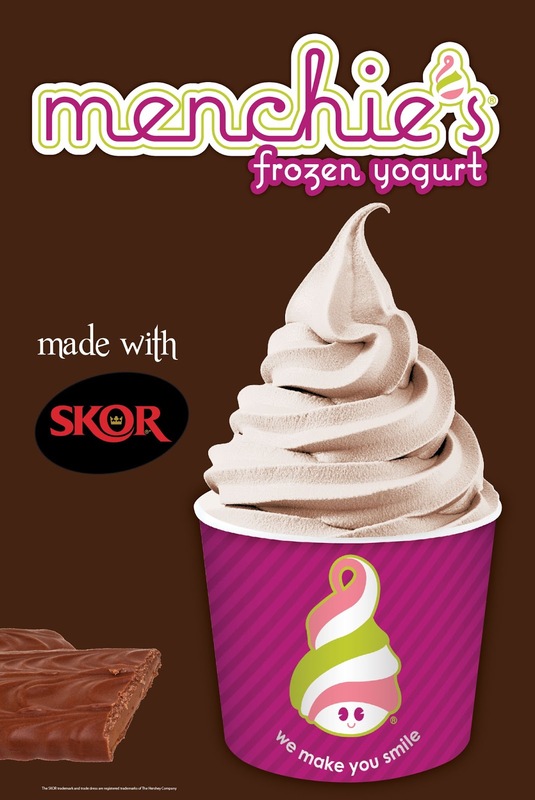 Additionally, check back in a few weeks as Gastro World will also be giving you a chance to win a VIP pass to Menchies - holders are entitled to any cup of frozen yoghurt (no dollar limit)! The perfect way add as many toppings as you want, to create a masterpiece that’s worthy of making you smile.